I may not be able to pronounce the name of this hand lotion, La Parfum Crème Trinitè, but one thing I can tell you is that it is amazing. 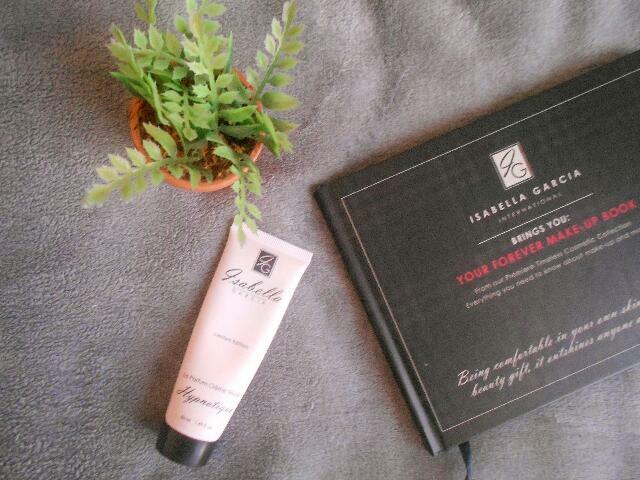 The hand lotion is the limited edition Hypnotique from Isabella Garcia. If you are wondering what or who Isabella Garcia is let me bring you out of the dark. Isabella Garcia is an international beauty brand that offers beauty products and opportunities to make money. They also have beauty boxes and you can choose which products you want and how often they send your products, trust me it makes a lot easier. The hand lotion lives up to its name, Hypnotique. The scent is strong, lovely similar to a bouquet of roses. The scent is hypnotic and as the bottle states, the hand cream demands to be worn only when you are dressed Très chic. Let me let you on a little secret, the lotion works perfectly for any other occasion. After all, rules are meant to be broken. This is a water based hand lotion and some of the ingredients include white musk, amber, midnight orchid and star anise. This combination will leave your skin begging for more. Just as you think this hand lotion can't get better you find that the lotion contains glitter which completes the whole package making it the ultimate elixir.